Hello Maniacs! Hope you guys are having a great week! I’ll keep this post today short and sweet, as I am coming down from an amazing high due to some incredible events that occurred this past weekend. We all have moments in our lives where we obsess over thoughts of doubts and negative affirmations that cease to grow us. We cling on to the words of people that don’t value us and neglect the words from the people that do. I believe we are all guilty of this! Throughout my teaching career, I’ve had many different people with hundreds of opinions and suggestions on how I should run my classes, or how I should teach and so on. In the beginning of my journey I’d listen to as many people as I could, unknowingly seeking their validation because I really yearned to know if what I was doing was making an impact or not. But then I realized the fickle nature of humans; One day they love you, the next day they are dragging you through the mud as if you haven’t done your best to please them. My last blog post was about pleasing others and how you will die trying–refer to it for my real thoughts on that matter. I had to stop myself from trying to be the instructor that 40 different people in a classroom wanted me to be. It will wear you out to have your soul, your gift, your purpose dissected by opinions. When I started getting deeper in my job, I stayed close to my teaching materials presented by Les Mills, tirelessly studying the words of wisdom the program directors would give freely on how to effectively teach each class. Aspiring to do as they said, while staying authentic in my instructing, I felt as if I was finally able to find a balance. Eventually, those students who gave me the blues came and went and the type of students that acclimated to my style made my classes run smoother than ever. I was back to enjoying my profession and was no longer concerned with pleasing everyone. Yet, I still had doubts. What validation was I searching for? I had good attendance, a following around the city that I reside–to the point that they’d wear shirts with my name on them–so what more did I need to show me that I was indeed teaching well? I didn’t know the answer. When the car accident happened, I didn’t care to keep searching for the answer as I was inquiring God with other issues relating to my life. April 2018 came rolling around and I returned to teaching. Numbers have steadily risen upon my return and I don’t have as many self-loathing qualms pertaining to my career, as I am now just elated to be back to moving and grooving. I have truly enjoyed myself and have somehow put up a blockade between others perceptions of me and what I think of me. I am who I am, and dammit, that is my superpower. I am not a genie in a bottle, I am a human being! This past weekend though, the craziest thing happened! Earlier in this post I wrote about how when I began teaching, I would do my best to teach alongside of the essence of the Les Mills program directors I was learning from. I had always wanted to meet BodyJam program director, Gandalf Archer-Mills, or Sh’Bam program director, Rachel Newsham! 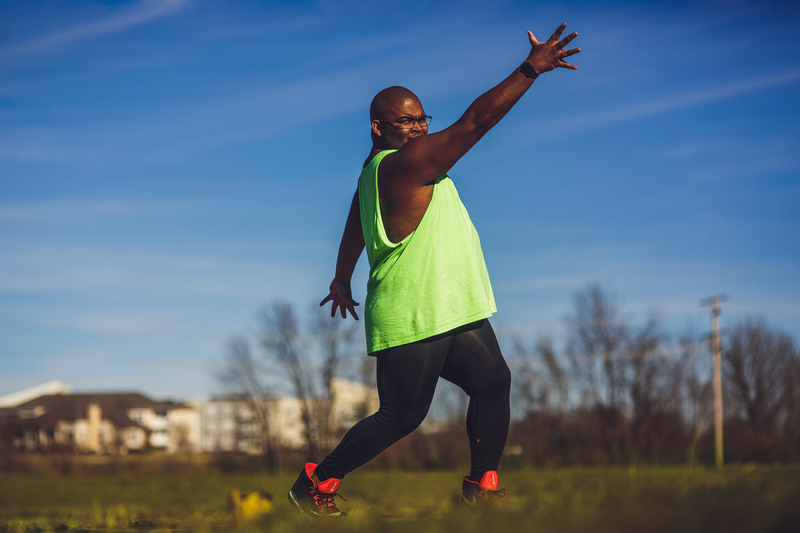 They are the standards that keeps these programs running efficiently, effectively and safely–while keeping the goal of making fitness fun for participants in mind. I’m totally making a long story short, but I had the honor of teaching with Rachel Newsham last weekend! Originally, when I found out that she was visiting one of our local clubs in the area, I just wanted to attend someway, somehow–front row, back row, whatever! Three weeks or so away from the event I received a phone call that if I wanted to I could teach with her and she would give feedback on my teaching. Wait a minute; Was this the validation that I was seeking? Could it be that the answer from my prayers had arrived late? Or did it arrive exactly when it was supposed to? No way did I think that it was going to come directly from the program director herself! Teaching with her and feeling the energy in that room with fellow instructors and some of my students was something I will never forget! Ever. Whenever I am feeling down and out, insecure, hopeless, I will gaze upon the pictures, reread this blog post and realize that I am indeed enough, whether the validation I searched for was found through others or within myself. Believe me, finding it within yourself is less exhausting and drama filled. What things in life are you seeking answers to? Are you looking to people to let you know that you are enough? Or do you know that you are enough all by yourself? Something to think about. Love you guys, and remember: YOU ARE ENOUGH! I'm a 25-year-old Dancer, Writer, Fitness Instructor, Mental Health Advocate, Movie-Goer and Major Foodie. Some people call me an old-souled diva but make your own inferences. ;-) I'm assuming that I'll post mostly on here, but if you want to follow me on my Instagram, @CLDoogan. Not a Wordpress Member, but still want to keep up with my blogs? Enter your email here and follow me!